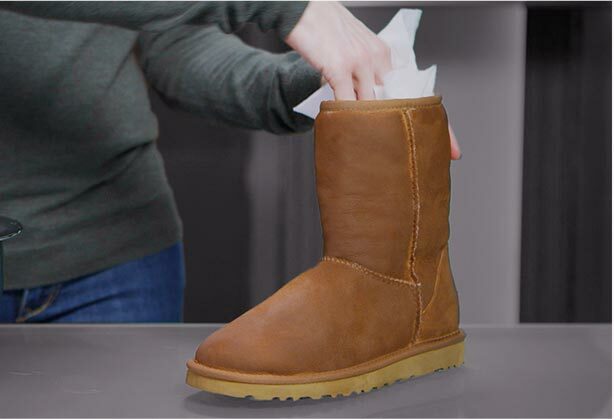 Protect your favorite UGG products with UGG Protector to keep them looking new. For best results, clean your UGG boots, shoes, and slippers with UGG Cleaner & Conditioner prior to application. Shake well before applying to clean, dry sheepskin or suede in a well-ventilated area. Hold the bottle 6 inches away from surface. Spray evenly until the surface is wet but not soaked. Let boots dry naturally for 24 hours in a cool, ventilated area. Avoid direct heat and sunlight. Once dry, use suede brush and brush in a single direction to restore original appearance. 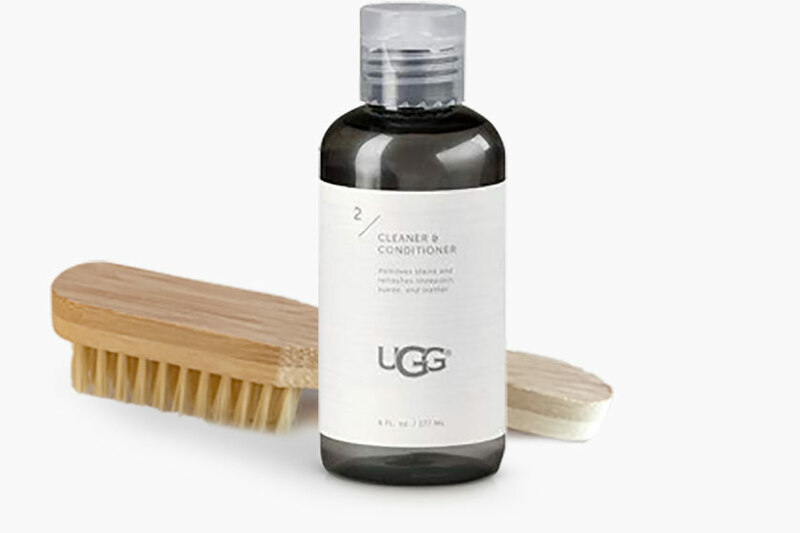 UGG Cleaner & Conditioner rejuvenates your favorite UGG boots. Since the Classic II boot is pretreated to protect against water and staining, we recommend using UGG Cleaner & Conditioner on your Classic II boots 6 months after purchase. Do not apply products directly to material. Gently brush surface to remove dirt. Moisten surface with clean, damp sponge. Apply a small amount of formula to the damp sponge and gently scrub. Remove residue with sponge. Spray into shoe after each use to prevent odor. Spray the insole and wipe away any excess residue. Let dry before wearing.